Posted on Thursday, June 7th, 2018. Explore Munising has multiple services for visitors to the Upper Michigan shores of Lake Superior. The Explore Munising Visitor Center is conveniently located right on M-28, as you arrive in Munising from the east. It is open 7 days a week during the summer season. Guests are greeted with concierge services that help them maximize their time here. Whether they want to tour Pictured Rocks National Lakeshore, relax in the Hiawatha National Forest, visit Grand Island, hike to waterfalls or enjoy sites, shopping and dining in local communities, a stop at Munising Visitor Center is essential. 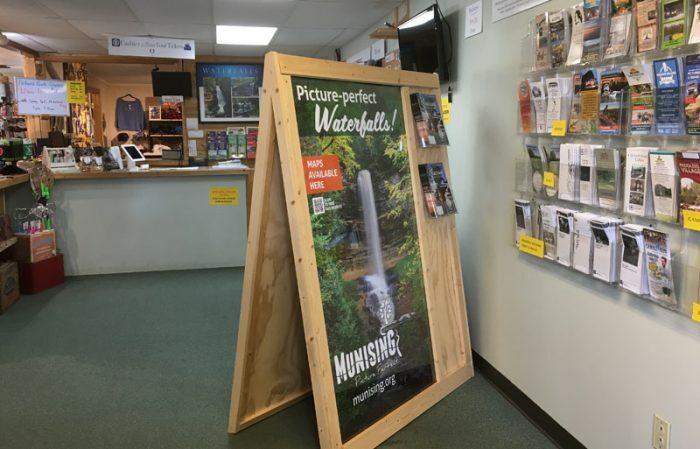 Visitors especially appreciate getting Explore Munising’s FREE waterfall map or buying the exclusive Explore Munising waterproof map with distance details marked for hiking and kayaking excursions. On site ticketing for Pictured Rocks Cruises is another convenience offered to travelers. This year, the Munising Visitor Center expanded their selection of delightful gift and souvenirs. 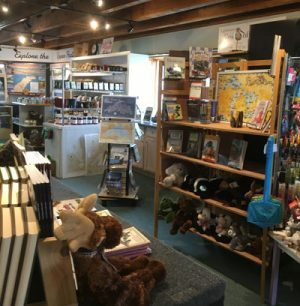 Local folks are often surprised to find lovely gift treasures and the helpful tourist information for their friends and family coming to Munising. Regional U.P. 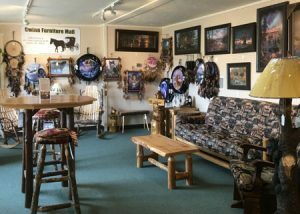 artists works are featured throughout Munising Visitor Center, with beautiful photography, watercolor art, wood and metal hand crafted items, handmade soaps, to wearable art with U.P. Reference items including books, atlases, maps, puzzles and calendars featuring area scenes are available . There are specialty foods for snacking. The Kids Korner has a nice collection of children’s books, cuddly stuffed animals, and outdoor play toys for adding fun to family vacations. Since 2011, Explore Munising has been offering marketing services that enhance the visibility of local entrepreneurs. When owners Brenda Kelley St. Amour and John St. Amour opened the Visitor Center on M-28, they wanted to promote the area and extend Munising hospitality to visitors from nearby U.P. towns to international travelers.